Do you seek a Green construction company with the competence and experience to complete anything from a minor remodel to new home construction and commercial development? Are you looking for a Green building contractor who is passionate about modern green construction methods and sustainable development? 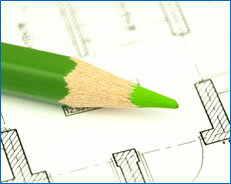 Welcome to South Coast Inc. green building portal! South Coast Inc. is a leading Los Angeles county green building contractor, specializing in new, infill homes, green renovations and retrofitting, and "smart development" communities that are compliant with California Green Building standards, Energy Star and LEED standards. South Coast Inc. specializes in Green construction and is eager to help you build your dreams with minimal environmental impact. While the focus of our business is Green construction, we have built our business on a tradition of integrity and quality. What does that mean to you? 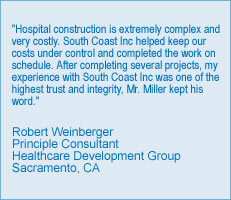 It means that you can trust South Coast Inc to be not just a dedicated Green building contractor, but a reputable construction company that will get the job done on time, done on budget, and done right! We owe much of our success as a Green building contractor to excellent communication between us and our clients, as well as between us and our Green construction subcontractors. We believe that building strong relationships with all those that we work with is the first step in any Green construction project.